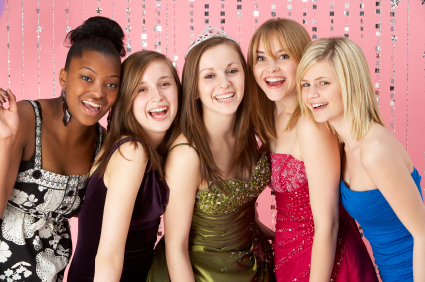 Sweet 16 Party Ideas - The Best Sweet Sixteen Parties Start Here! Sweet 16 party ideas & themes is THE resource for planning your super sweet sixteen party! We’ve put together the largest collection of sweet 16 party ideas & resources for your birthday party. We have the most party ideas, themes, and photos of the hottest parties and the latest trends in sweet sixteen parties and decor. We walk you through all the details that you need to carry out the perfect birthday party for you! When planning your party there are many aspects to think about and plan. We help you narrow down your priorities and find exactly what you need and put you in touch with the best resources to plan your perfect party. Large budget or small budget we have a wide variety of ideas and party themes for your sweet sixteen so you can put on the best party possible. From finding the right venue, to picking out the right invitations, to finding the right dress, to renting uplighting, we walk you through every detail of planning the perfect sweet sixteen party and give you the very best in ideas to help you get inspired. These articles is a great place to start planning your party and putting together all the elements you need to get your party planning started. If you need any custom ideas feel free to comment anywhere throughout the site and we will respond back to help you get the help and ideas to make your party awesome! Your sweet sixteen birthday only happens once so getting it right and putting together a party that fits your personality, your budget and your friends you’ll have the sweet sixteen birthday party that everyone will be talking about for the rest their lives!